Arrayit offers the market's finest class 1, 10, 100 and 1,000 cleanroom disposable hoods to trap particulates and other contaminants generated by clean room staff during cleanroom operation. Disposable hoods are highly recommended for cleanroom environments used in the life sciences, diagnostics, healthcare, semi-conductor and other sectors. Hoods are white in color with a one-piece design, elastic face band and Tyvek® composition for comfort, convenience and performance in a disposable cleanroom hood. Arrayit cleanroom hoods can be used in conjunction with Arrayit face masks. 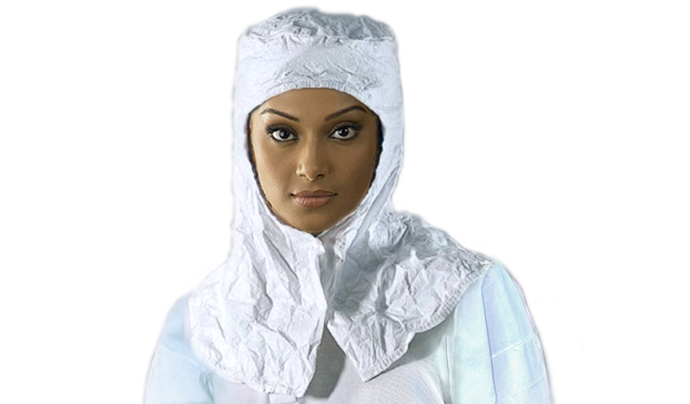 Pack of 10 disposable hoods in anti-static cleanroom packaging.